Last weekend, I went out to New Paris with a bunch of friends. I had really romantic ideas about the trip: shooting stars, delicious food, and beautiful fall foliage. All those things were there, and it was really wonderful. It was just missing one major thing: inspiration. You see, I always had an idealized version of how nature is supposed to inspire you. 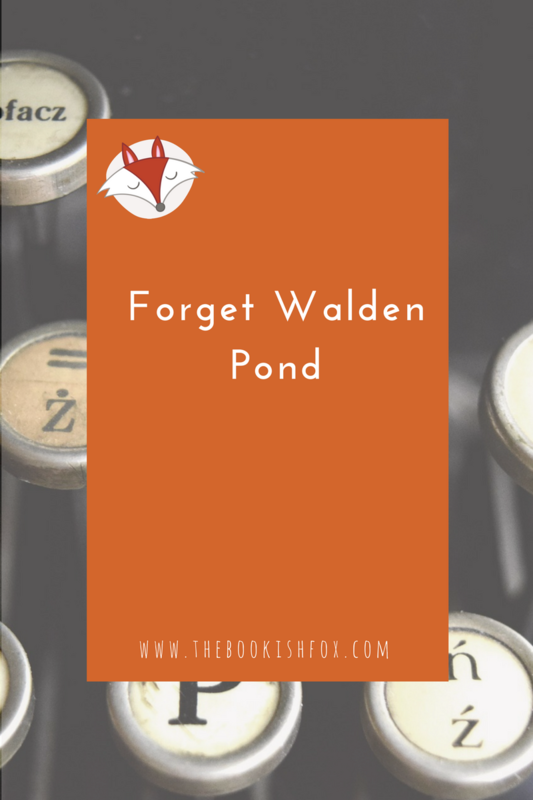 I thought about how Thoreau wrote Walden Pond when he lived in a cabin by a lake and how the Romantic poets talked about the beauty of nature. Surely nature would give me the jolt of creativity I needed to get back into the swing of things with my writing. I forgot about one major thing: myself. You see, I am not exactly what you would call an “outdoorsy person.” (I am imagining all the people who know me in “real life” laughing hysterically at this notion.) When I did a meditation group in college, I always left more stressed out than I was before I walked into the meditation center. Why? They always had outdoor visualizations. All I could think about was getting sunburned, being eaten by bugs, and accidentally rubbing up against poison ivy. To say I have a deep fear of poison ivy is an understatement. When a free-range dog (that was owned by my friend’s relatives) in New Paris came up to me, I screamed and ran away. Not because I am afraid of dogs. No, I am obsessed with them. It was because I am afraid he rubbed up again poison ivy and would give it to me. So I shouldn’t have been surprised that I was creatively dry in an environment that normally stressed me out. You know where I get inspiration? Cities. I am like that chick from Green Acres. Give me Park Avenue. I am inspired by street lamps and pedestrians, not by cows and flowers. I would much prefer the honk of taxis over that annoying chirping that crickets make. So when I am stuck, I walk around my city streets until I see someone who might be my next character. How does this apply to you and your writing? Go where you are inspired, not where you think you SHOULD be inspired. Just because your favorite writer is inspired by the ocean, it doesn’t mean you have to be. Basically, know yourself. If you don’t know where you get your inspiration yet, experiment. See if the mountains are your muse. Or maybe you are itching to write after going abroad. Perhaps there is a room in your house that helps you to pick up your pen. Basically, do you. Keep going to your favorite place and are still stuck? Book a Novel Idea Session with me here. I can inspire you faster than the Empire State Building inspires me.